Part of the Back Stop Range, Multi Stop Curtains open entirely to the left, or to the right. 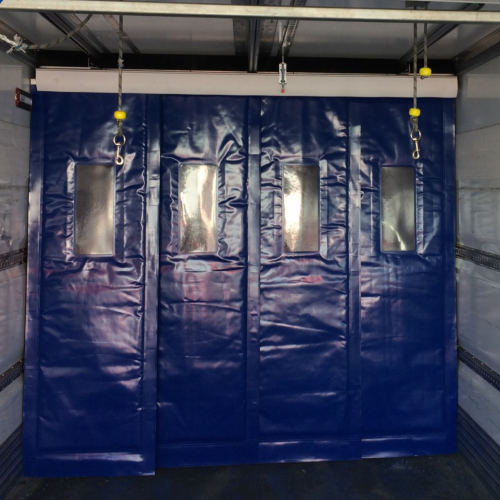 When a vehicle’s back doors are open, Back Stop’s Tempro curtains retain 100% of the air which has been expensively chilled – and even when a driver is carrying out delivery, only 25% of the door needs to be open. 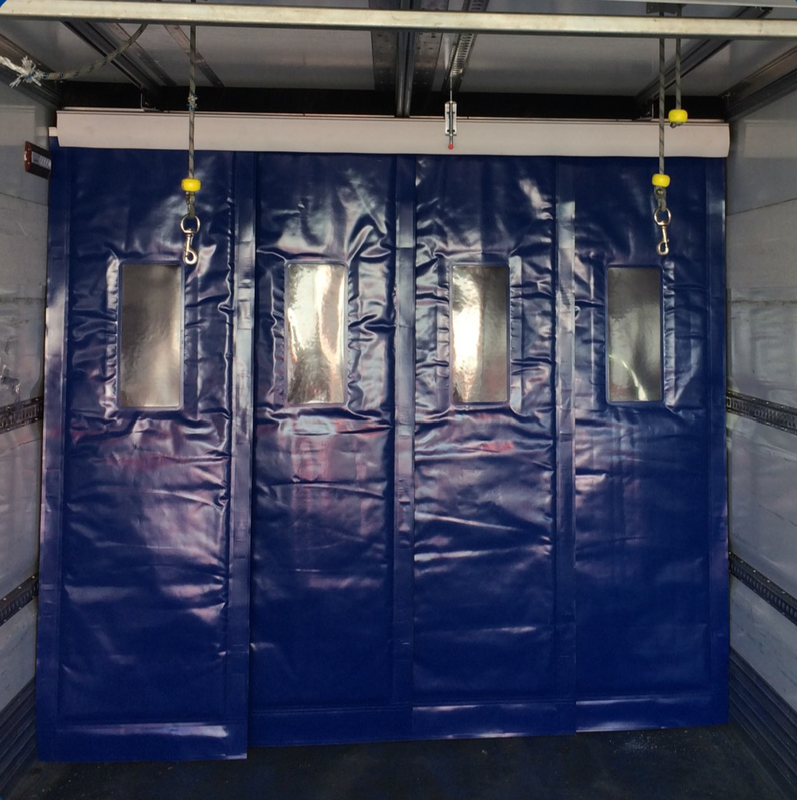 • Unique header system holds four moveable curtains, creating an outstanding thermal energy barrier, saving enormous costs. • Available in either a manual or touch button air-compressed configuration.